Tracie Grimwood Illustration: I love old stuff. 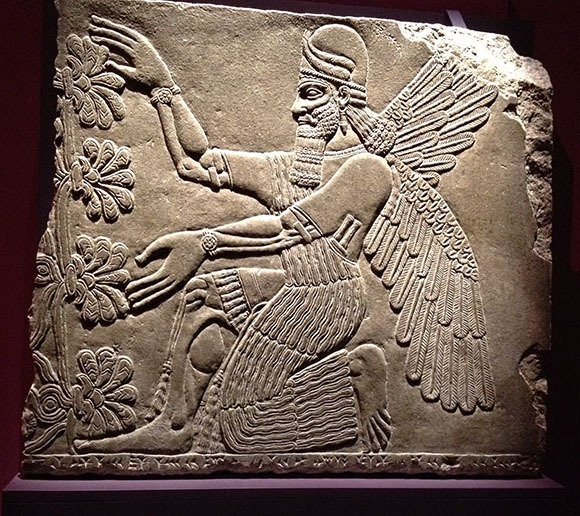 I managed to sneak a couple of photos at the Wonders of Ancient Mesopotamia exhibition last night. 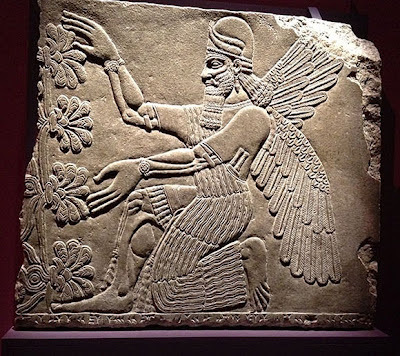 This fellow here is King Ashurnasirpal II. Historians tell us he was king of Assyria from 883-859 BC but, according to the man himself, he was also King of the Universe, so I don't know who to believe. He does have impressive wings. The exhibition is on at the Melbourne Museum for a few more weeks so, if you love old stuff like I do, go along and have a look.